When socks are sold in ranges that are supposed to accommodate 6 shoe sizes, it's no wonder guys can have a hard time finding a decent pair that fit correctly, and are built to last. Grant's on the case. I'm trying to find nice socks. Seems like a simple task, but with the range of “One size fits all size 6 – 13” from all manufacturers, it's difficult to get a good fit. Do any of the wonderful Primer writers have any awesome tips on where to find nice socks? I've done the Target thing via one of your articles, but they're still running a little large (with the heel sliding up my ankle) and I don't have terribly small feet (Size 9, or 9.5 depending on the manufacturer of shoe). – Doug C.
Socks never seem to be a big deal to most men until they have a hole in them, they lose them, or heaven forbid they don’t fit. Then they become a huge problem. In the military, soldiers are taught to take care of their feet and keep them dry and comfortable. This often means changing socks one or more times per day. You may not be in the military but you should still keep your feet in pristine condition with the best socks you can afford. Extra – Loafer socks. The socks are the most minimal available and look more like the footsies you see in the shoe store. They’re intended to be worn with loafers and/or other shoes you may go sockless in. Socks come in many different shapes and sizes but there only three worth talking about–ankle, mid calf, and over the calf. Ankle socks should be saved strictly for athletic pursuits – sports, the gym etc. Mid calf socks are what most men are familiar with. They extend to the middle of the calf and are the most common socks worn by Americans. However, they are the least practical. Mid-calf socks have a tendency to succumb to gravity and slide down during the day exposing the wearer’s hairy legs which is a faux paus in menswear. Mid calf socks end up looking slouchy, slovenly, and unkempt. 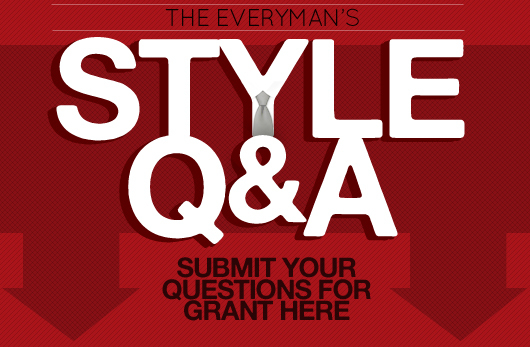 Men of style—or at least those trying to obtain a certain level of style–should opt for over the calf (OTC) hosiery, the technical term for socks, when wearing suits and dress pants. OTC socks extend past the calf almost to the knee. They provide better temperature maintenance and stay up well into the affairs of the day without exposing the wearer’s leg to the public. Many men have issues finding the right fit for socks. They end up being too small or too large. 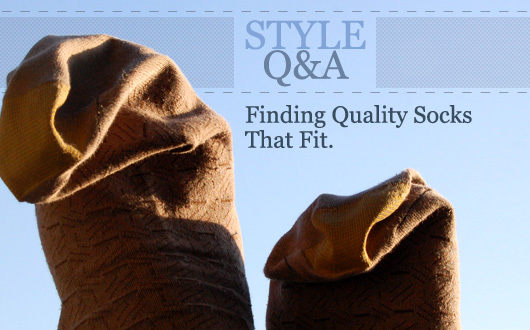 Sizes vary amongst brands and the best way to find out which fits is to simply try them. 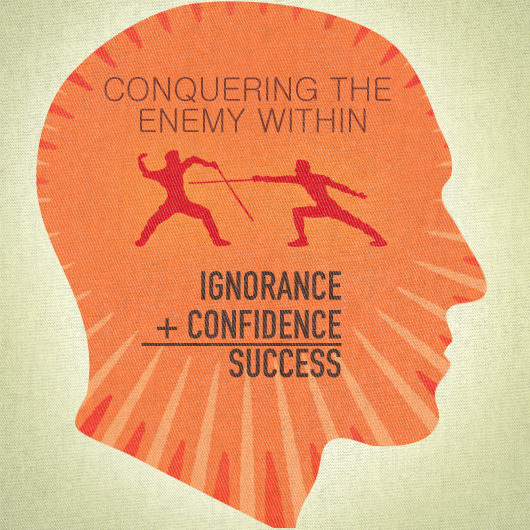 However, there are guidelines. I wear a similar shoe size and have encountered the problem myself. Here’s a handy guide to shoe and sock sizes in American measurements. UK and Euro sizes are a whole other issue. Socks should fit as well as any of your other garments. The heel should sit on your heel and not under it as in a sock too small, nor half way up your Achilles as in a sock that’s too large. Socks should be flush against your foot with no extra material sagging. The toe seam should lay flat across the top of the toes. 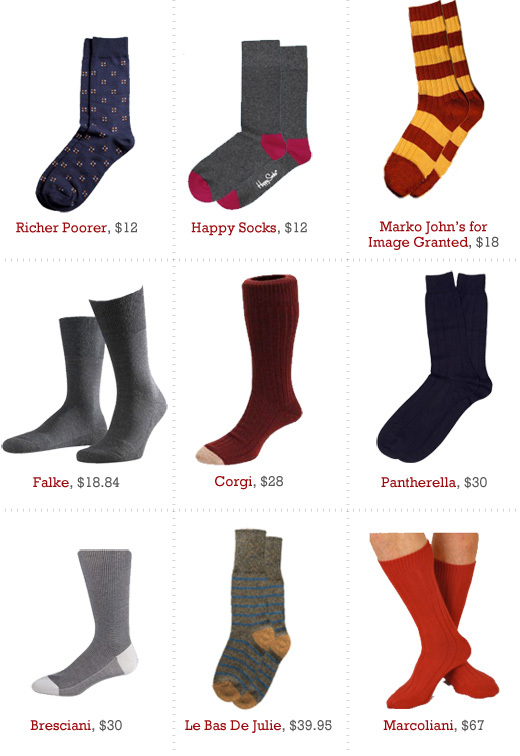 Socks also come in many price points from reasonable to extravagant. Here are few we recommend in each category. Of course the higher the cost the better the quality. 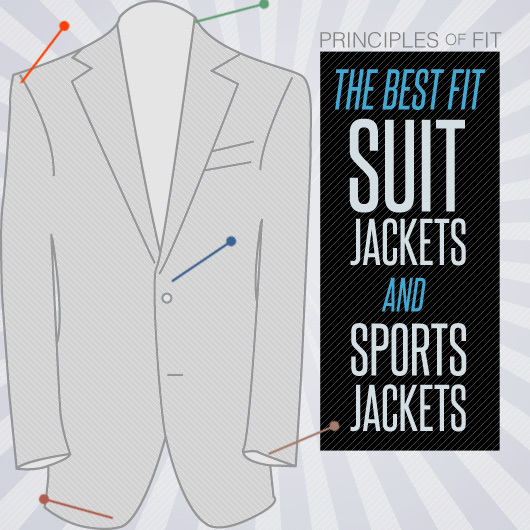 This article only covers 2 of the Keys to Great Style: Style and Fit. It forgot about fabric. While I agree that a man really only needs OTC socks and those no-see-em ones for athletic pursuits, it should be said that socks should never be made of cotton. Cotton absorbs and RETAINS moisture inside a shoe and it has no elasticity to speak of, which means that it will stretch out and stay that way. A higher synthetic and spandex content will help, but you’re better off going with wool, nylon, acrylic, polyester, and spandex blends, which have better inherent elasticity and will wick moisture away from your foot to keep it dry. And you need not spend a fortune. Even the cheapo socks at Walmart have the fiber content listed on the package. Even staying in common brands, e.g. Gold Toe, but going to their higher-end line will help you achieve total Podiatric Nirvana. Cheers! @John – Yes, you’re right. In most of my other articles I provide information on fabric/material as well, but this specific question was about fit versus material. You are correct about cotton socks being of lesser value in terms of wearability. However, I disagree with your recommendation for materials such as acrylic and polyester. While these materials do not absorb moisture I still recommend natural fibres. A mixture of wool and silk will provide the best insulation and moisture wicking properties. Silk is softer and stronger than acrylic or polyester. Materials such as nylon and lycra/spandex are mostly used for elasticity versus heat retention or moisture wicking. Socks with a wool, silk, nylon mix tend to be the best. Thanks for reading and commenting. Grant, you’re right about silk being an excellent natural fiber and I can’t believe I forgot about it! However, it’s not as inexpensive as the synthetics and you get many of the same properties from synthetics and synthetic blends as you do from silk and silk blends. And my recommendation is for all types of hosiery, not just dress and casual socks. I’ve been wearing inexpensive nylon or acrylic socks as athletic wear for years, especially hiking. I haven’t had a blister since I started this practice. Check out Ray Jardine’s book about backpacking (he’s changed the title with each update, so I can’t say what it is just now). Take care of your feet and they’ll last a lifetime! Cheers! The problem I have with over the calf sock is I have a calf like a small tree trunk! I would like to find a custom sock maker who could make them to fit. I could survive with a couple pairs of dress socks and a couple pairs of casual socks. while your at it, I would like to find a custom hat maker to make a hat to fit as well! Yes, unfortunately most of us have body parts that are difficult to fit. At the moment I’m unaware of any custom sock makers but I’ll research it and get back to you. Fortunately, there are custom hat makers or at least locations where the selection is so large that you’ll find everything you need. Optimo hats in Chicago and JJ Hat Center in NYC have the best selection and styles this side of the Atlantic. Check them out below. I have an issue with mid-calf socks cutting off my circulation and having a nice indent after I get home from my 9-5. Any recommendations? “Of course the higher the cost the better the quality”. Hogwash! Sometimes, the higher the cost the greater the profit, and that’s all. High price absolutely does not equate automatically to high quality. Sometimes high cost equals high quality, but that certainly is not true as a blanket statement. You didn’t answer the question. It’s hard to find socks they fit when they are sold one-size-fits-all. One size doesn’t fit all, and I’m tired of this. Where can I buy socks that are my size? Nobody sells OSFA shirts. The guy who wears a small still just tuck all that extra shirt in, and the big guy will just show off his belly? Why the bleep did they stop selling properly sized socks? 5 of your links are now dead. Time to update this. Seriously, $12 and up for a mere PAIR of socks? Might as well just get the ones that cost 1/5th as much but last 1/3rd as long if that’s the choice. What most men are wanting is just socks the fit the average sized foot without excessive stretching like the typical socks sized 6-12 or even “supposedly” 10-13 do. You can get those in a 10 pack for under $15, but what we WANT is those but about 15% larger so they aren’t stretched out and thin due to being too small, and to only pay 15% more for them, not 1000% more. Style, Smile. I want work socks that don’t end up down in my shoes because they’re to big. I wear an American size 9 to 9 1/2, but in Chinese shoes, it’s a 8 1/2. I believe sock sizes have followed this same trend because Chinese have smaller feet then Americans. so a Chinese size 6 to 12 sock ends up way to big for an American size 9 1/2 foot. It seems that all socks are now made in China. Help, by noon my socks are all stretched out and my feet are killing me. This didn’t happen 20 years ago. You seem to have that backwards. If Chinese have smaller feet then a Chinese 6-12 sock would more likely be too small on an american 9-1/2 sized foot. I do find that to be the case, that many socks now are (sock size) 10-13 and shoe size 6-12 and have to stretch a ridiculous amount to fit a size 11 or 12 (shoe) foot, all because they are too lazy to make a middle sized sock for the majority of the feet out there in America. Bull, it’s spending a fortune to spend much more on something exotic instead of cotton. Remember that if YOUR feet sweat too much, it probably means that you’re either hopped up on stimulants or wearing incorrect footwear for the environment. Footwear should be highly breathable unless it NEEDS to be waterproof and muck resistant. Cotton socks are the most popular by far, because people don’t like wasting money on something else. If you think you have unique knowledge about socks then you are quite wrong and making a mountain out of a mole hill. Hint: People have had feet and have picked socks for a long, long, long time.